Bear Statue. 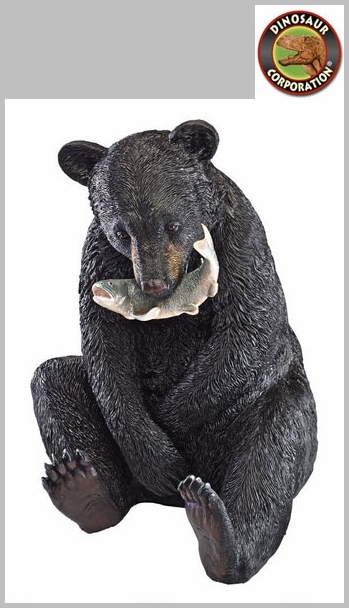 This bear cub garden sculpture will have the fresh catch of the day! 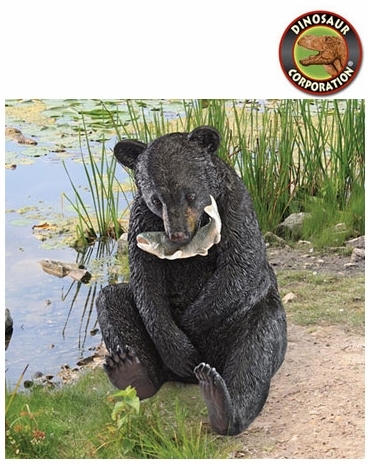 With a dinner fish in his grasp, our young black bear will happily sit beside your pond or woodland path. Artist Lightfoot sculpted him with details from furry coat to wide brown eyes, and then cast this statue in quality designer resin. * Size: 19�" W x 17" D x 22�" H.